While you may be bravely striding down the path of managing and growing your businesses, there may come a time when you need to form strategic alliances for your business. Given the current state of business today, competitive pressures are forcing companies to come-up with imaginative ways to enhance brand identity, connect with customers and attract top-notch employees. Companies, both big and small, are teaming up more today than ever before to enhance their competitiveness in the marketplace and keep pace with the rapid changes of technological innovation. More than 20,000 corporate alliances have been formed worldwide over the past two years. According to studies by Booz, Allen & Hamilton, the number of alliances in the United States has grown by 25 percent each year since 1987. A strategic alliance is an arrangement between two companies that combine resources to gain additional business. Strategic alliances are formed when one company alone cannot fill the gap in serving the needs of the marketplace. It involves two companies that pool together expertise and resources to enter new markets, share financial risks and get products and services to market faster. Some strategic alliances are formal written agreements; others are informal as a handshake. With the Internet, some alliances are entered into after several email exchanges, even without the physical meeting of the parties concerned. Some alliances involve sharing of resources and an exchange of funds; or sharing of traffic between two dot.coms; others are as simple as a cooperative marketing arrangement. Whatever their structure, one goal prevails: strategic alliances are opportunities for small businesses to accomplish things that would otherwise take much more money or staff time. Small business owners, with their limited resources and marketing reach, could benefit from cooperative arrangements with other organization and business entities. Joining forces with another organization can allow your business to finance certain services or production functions by sharing expertise, assets, expenses, and risk without necessarily incurring cash debt or trading equity. For small businesses, strategic alliances often consist of simple “bartering” with customers, suppliers, and even competitors. Here are several ways that you can build strategic alliances, joint ventures, and collaborate with another person or company to bring added value, revenue, traffic and/or expertise into your business. If you are selling a substantial amount of your product to one company, it is best to explore opportunities for strategic alliances between your organizations. Your goal is to preserve the relationship — imagine the possible devastating effects of losing your single biggest account. Cementing the relationship into a long-term formal alliance will help mitigate the risk of losing your biggest customer and market. When considering strategic partners, most small businesses will benefit from alliances that add value and prestige, not just money, through sheer association alone. If a brand leader wishes to join forces with you – a “small fry” – grab the offer immediately! Your networking ability plays a major role in locating and investigating strategic partnering opportunities. 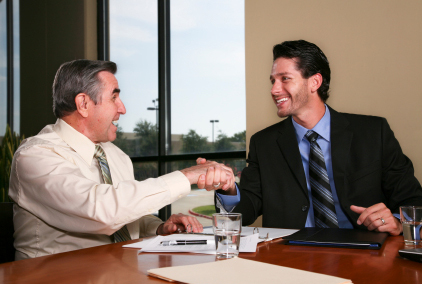 Business association with a well-recognized industry name can generate immediate credibility for you. It can be likened to receiving a stamp of approval from the best in the industry. Even if the partnership does not offer direct financial remuneration, you can leverage your formal association with the brand leader in the advertising and marketing for your company. Many entrepreneurs start their own companies after seeing potential partnership opportunities with their employers. For example, you may develop a product or service that provides your employer with a solution to a major problem. You make arrangements to go into your own business selling this product or service, and your former employer offers you a long-term contract with his or her company. The bonus: you end up with great cash flow, and the long-term contract with a creditworthy company means you can go to other lenders and possibly get other financing you need. Cross marketing calls for two distinct businesses to pool their resources and collectively market to a target customer base. The strategic alliance will provide additional leverage for their product offerings and generate greater marketing impact. The potential to save money for both companies is the greatest benefit to both companies. An online magazine targeting small business entrepreneurs, for example, can partner with a site that offers assistance to entrepreneurs in securing government loans. The online magazine will be able to increase its business tools offering to its readers, while the government loans site can widen its reach. Your company may have started out as a solo enterprise, and you still want it to remain that way – but you see the value in making connections. Or, your business has now grown to include one or more employees and you’re looking for ways to expand your reach without generating a lot of debt or overhead. For these situations, and many more, strategic alliances and partnerships are a smart solution. Design them any way you want – keeping in mind a win/win philosophy – and you’ll discover ways to grow your business without the direct use of money.